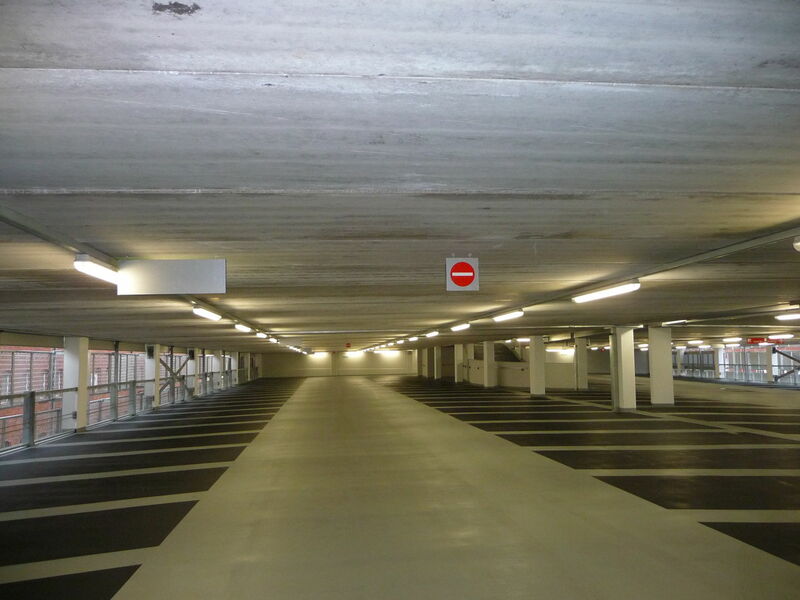 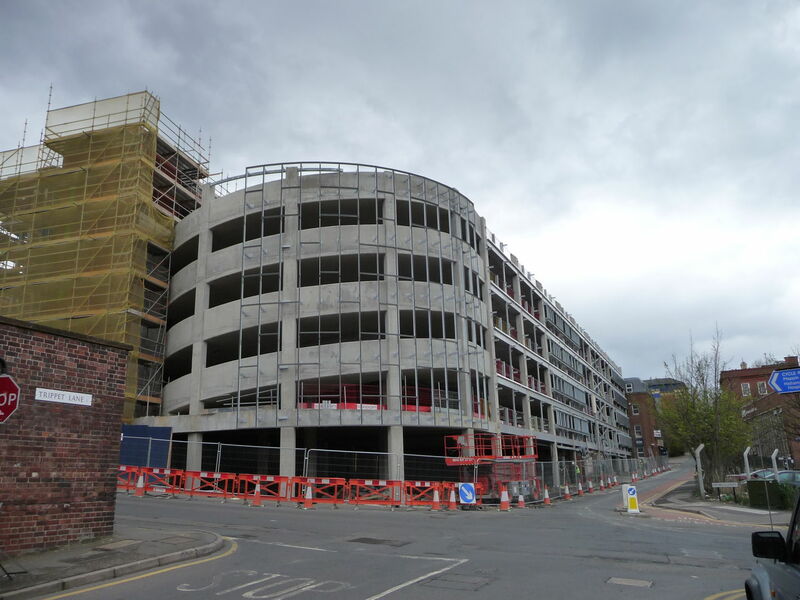 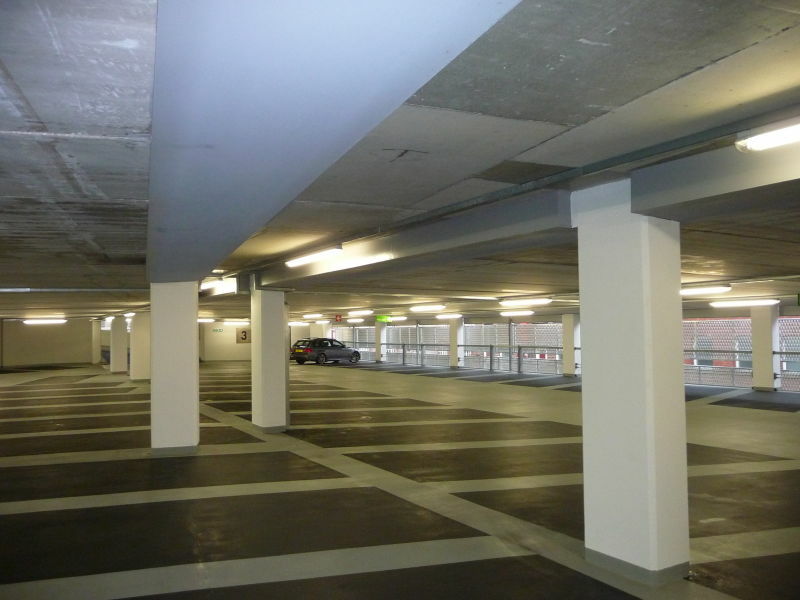 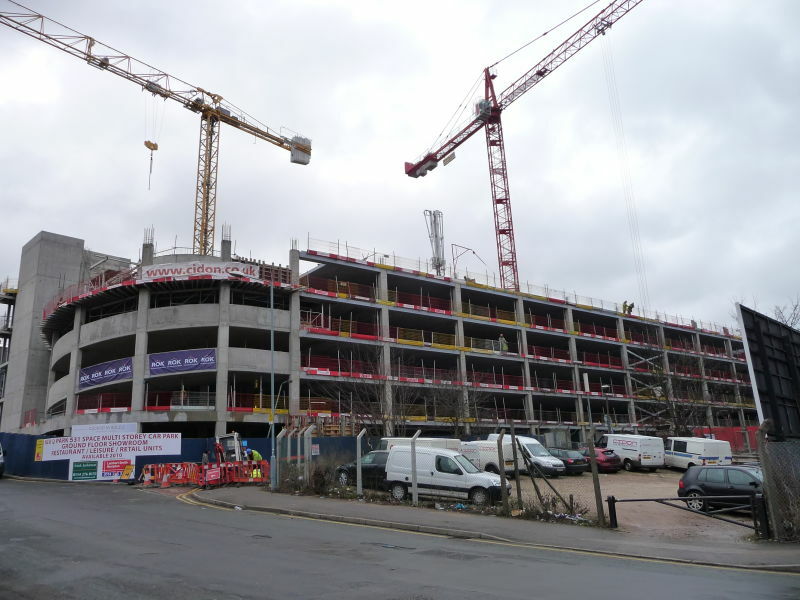 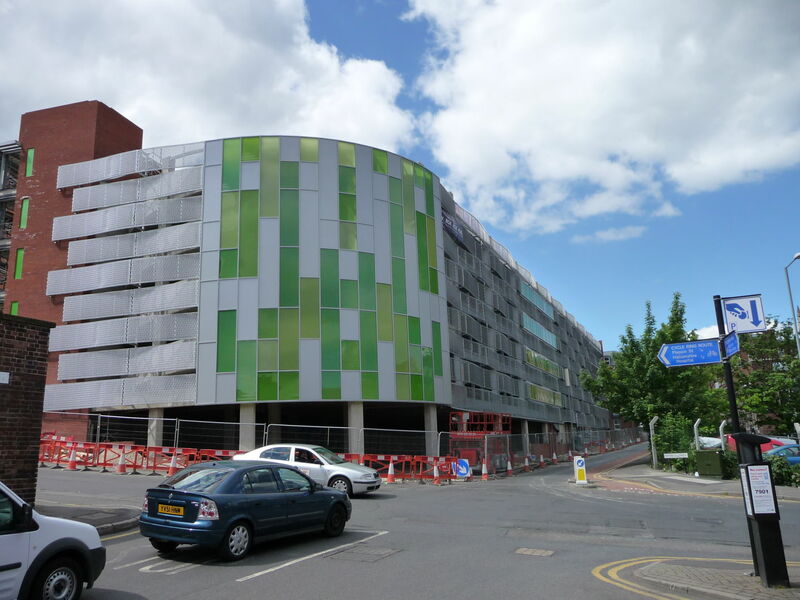 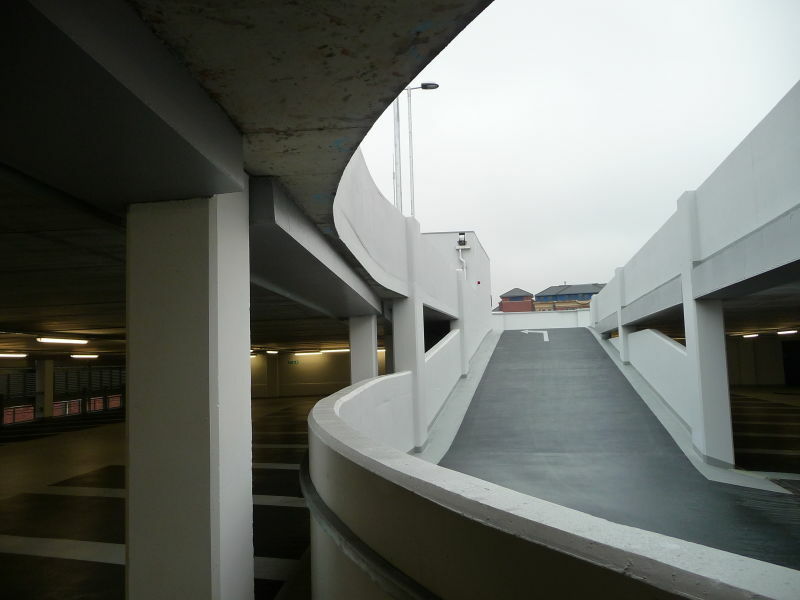 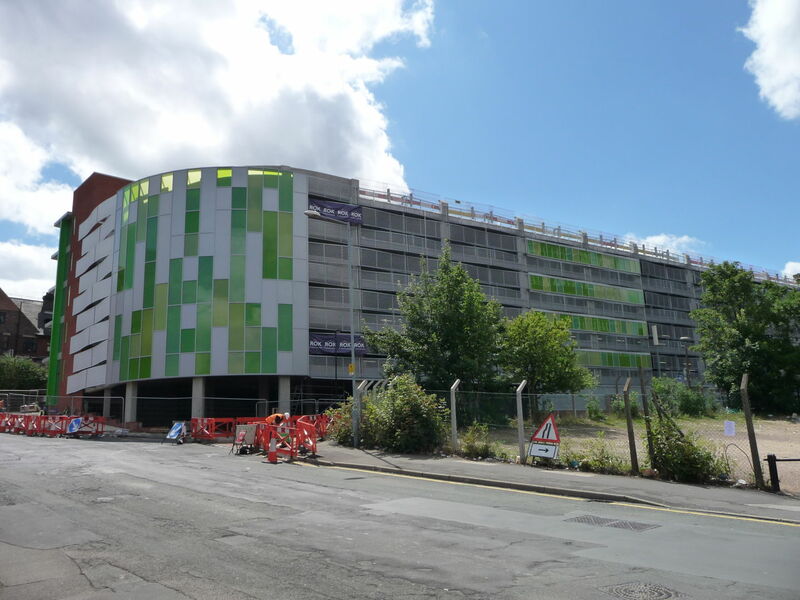 DELTABEAM® Composite Beams solved a height problem which appeared in the construction of Assay Office car park in Sheffield. 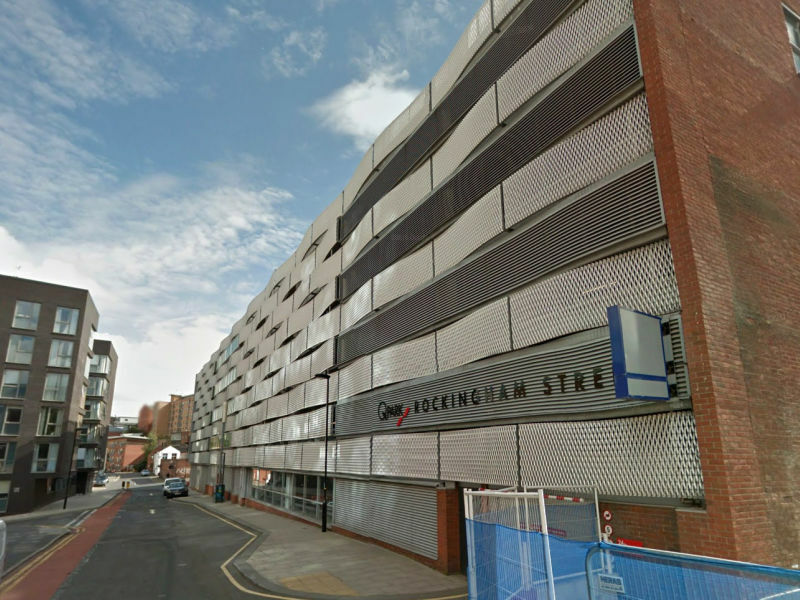 In the UK, there are height restrictions for new buildings in congested city centers. 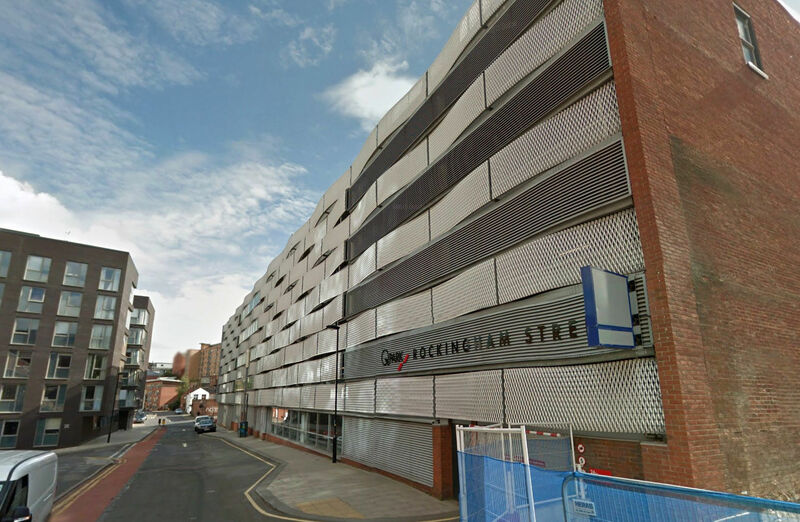 Planning authorities are often concerned another tall building would block light to existing windows. 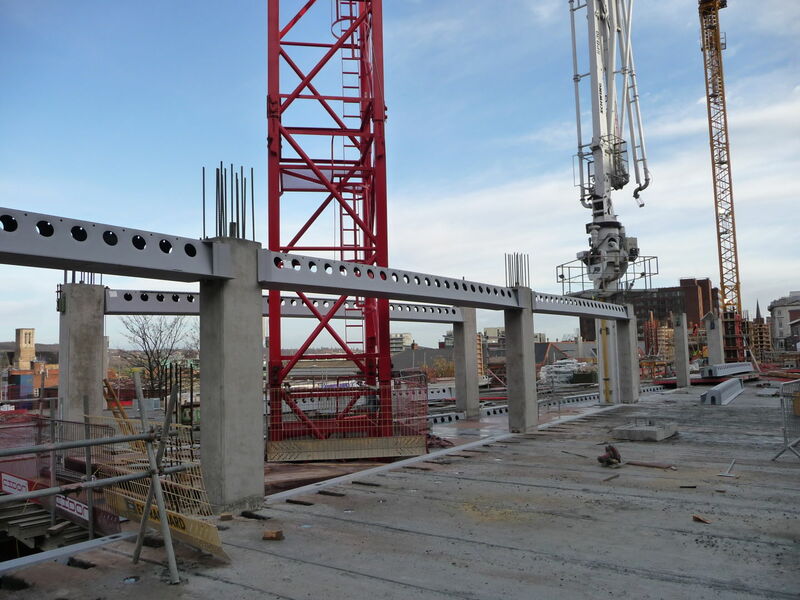 The Rockingham Street car park has five suspended floors which consist of 400 mm hollow-core slabs with 100mm structural topping supported by Peikko DELTABEAM® Composite Beams and in-situ concrete columns. 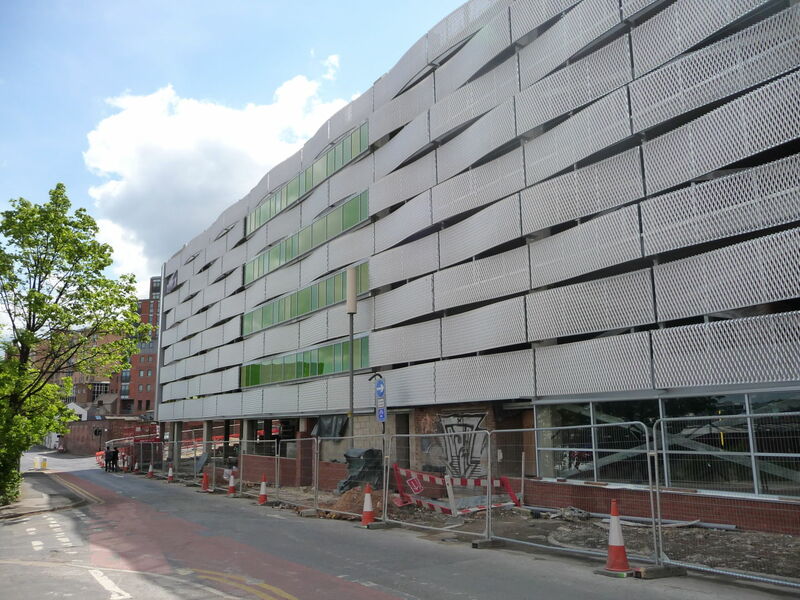 This is the area of Sheffield where the cutlery works and the Assay Office used to stand and so artwork depicting this historic landmark will be placed around the new car park, which is centrally located near, restaurants, bars, hotels, Sheffield University and retail outlets. 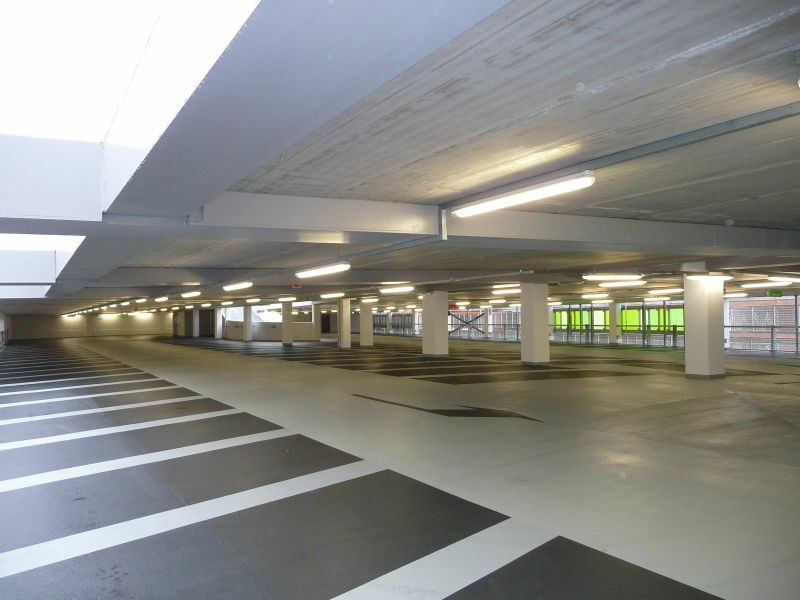 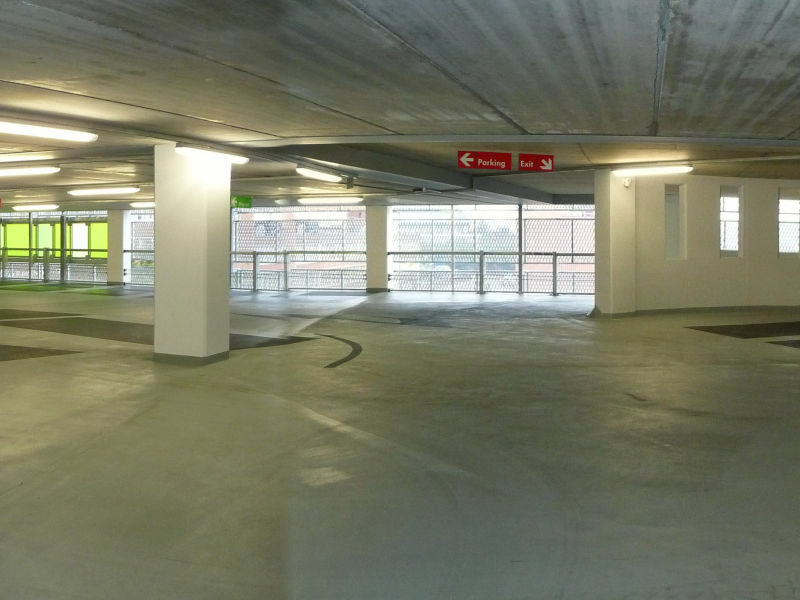 The Q-Park facility is attractive, safe, and secure and plays host to over 530 car park spaces which are all angled precisely for easy car parking. 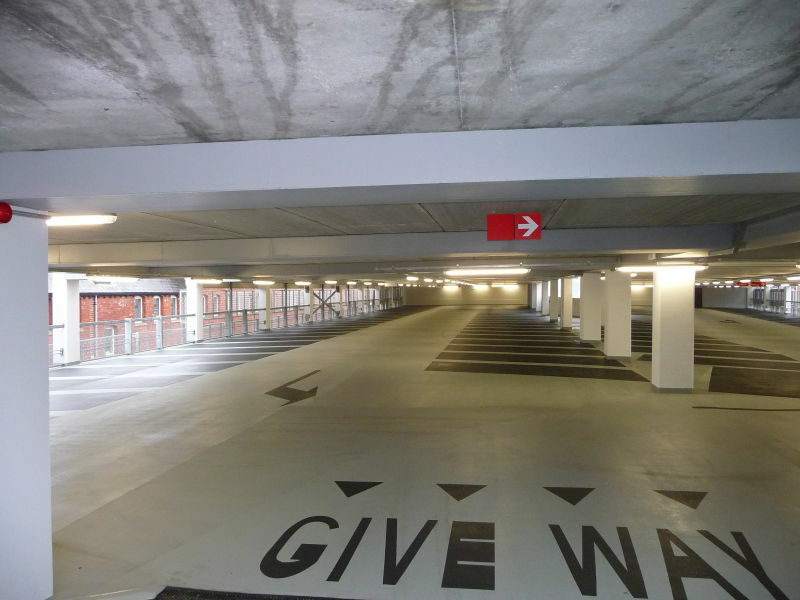 Equipped to the highest degree of customer service facilities synonymous with the Q-Park brand, the parking destination offers free buggy & umbrella hire, a shoe shine machine, 24 hour CCTV, jump leads and even an AED heart defibrillator machine for emergencies.